Allie: Honestly, some kitties have no fashion sense whatsoever. It's at times like this that the Fashionable simply must take matters into their own well-manicured paws. 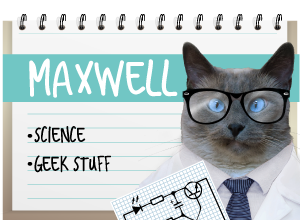 Step aside and let an Expert handle the PINK, Maxwell. 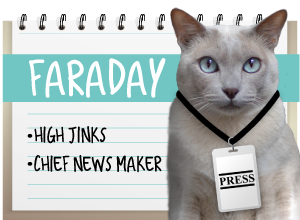 Faraday: WAIT. That means his Lounger's empty. SCORE!! Maxwell, you rock the pink sleepypod. Mancats can do pink! Don't let Allie tell you otherwise. Use the sleepypod Maxwell. Youll feel better after a couple hours nap. You are all pretty in pink! That photo makes me think you might be too big for that sleepy pod. Real mancats do like pink and look good in it! Maxwell, are you sure leaving that lounger was a good idea? Maxwell does look rather clueless in that picture, I agree. 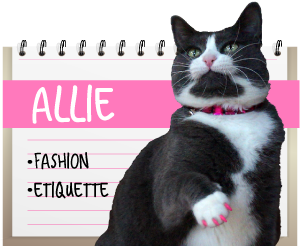 I expected to see a fashion catastrophy with Allie's soft-paws. But I was glad to see sweet Maxwell. Maxwell, I hope you get your lounger back from Faraday. It's really not nice of him to keep stealing it from you. We hope you rest well Maxwell. Are you having trouble fitting yourself in there Maxwell? I lives in a pink room, real mancats know how to rock da pink. You look great in that pink sleepy pod! It's like a game of musical chairs with you guys!! Uh oh! Maxwell, you shoulda never tried to show your fashion sense. Now you lost the lounger!